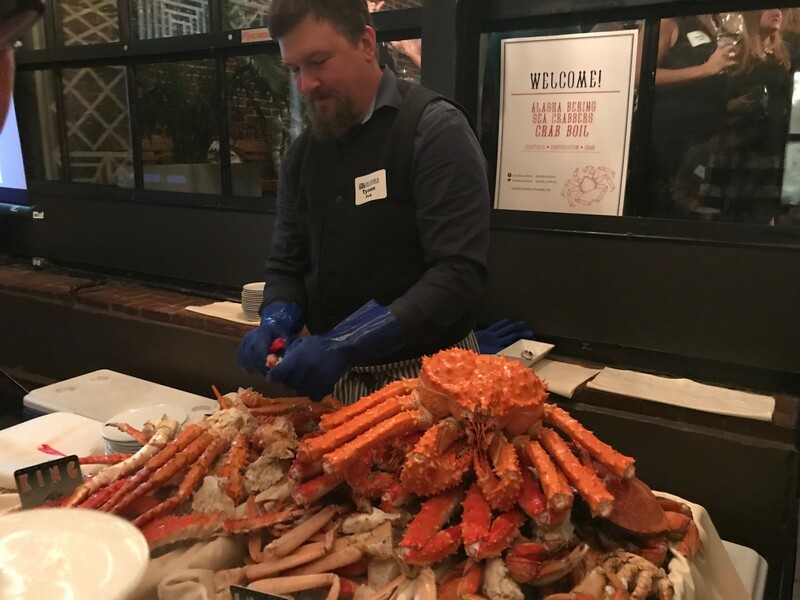 On October 24th, Caity Moseman Wadler, Executive Director of Heritage Food Network, attended the Alaska Bering Sea Crabbers Crab Boil at the James Beard House here in New York City. She was lucky enough to snag an interview with two very special guests and crab experts: Tyson Fick, Executive Director of the Alaskan Bering Sea Crabbers and Corey Arnold, a Bristol Bay Fisherman and photographer. Tyson and Corey talked with Caity about sustainability efforts in Alaska, the dangers of fishing and crabbing in the Bering Sea, and how you can be a responsible crab shopper.